a Hyundai Signature Certified Dealer. Thanks to a review by outside professionals (J.D. Power), Lauria Hyundai has received additional training and coaching for staff to best reflect and embody the latest Hyundai value system. 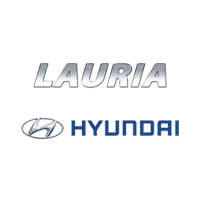 By meeting and exceeding the standards expected through the process Lauria Hyundai has received certification and the recognition as a Hyundai Signature Certified Dealership. We are committed to standing out from the competition by bringing the products, technology, and services that customers actually want. SO WHAT DOES THIS ALL MEAN TO YOU – THE CUSTOMER? The Signature Certification program is a promise from Lauria Hyundai to offer quality assurances in every aspect of the dealership. Whether you are visiting us as a service or sales customer, and whether it is your first time in the dealership or 10th car purchase – you can be confident in receiving only the best customer service and satisfaction with each interaction. 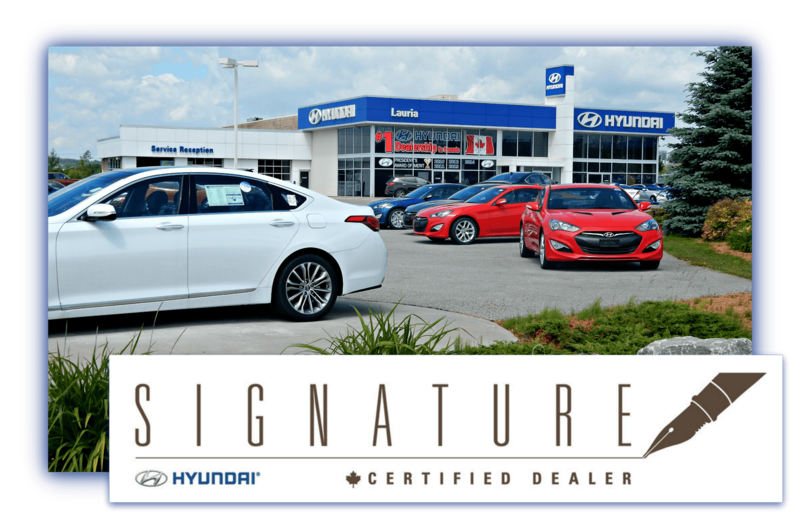 In addition to being certified as a Hyundai Signature Dealer, Lauria Hyundai was recognized as the #1 Hyundai Dealership in Canada for overall customer satisfaction in both 2010 and 2015, and have never ranked lower than 4th in our history. Satisfied Customers are the key to our success and we work hard every day to prove it!